Join us for a live information session about the Residency & Fellowship programs that we offer for practicing physical therapists. You’ll have to the opportunity to speak directly with the program director and get your questions answered. 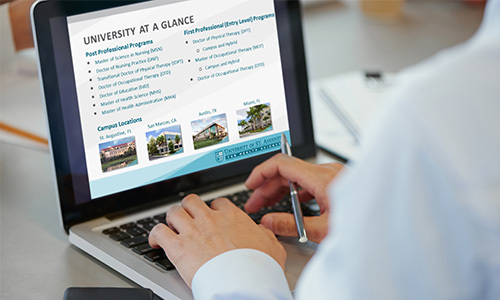 Complete the form below to register for this or future virtual information sessions and get a jump start on your application for admissions to the USAHS Residency or Fellowship programs!